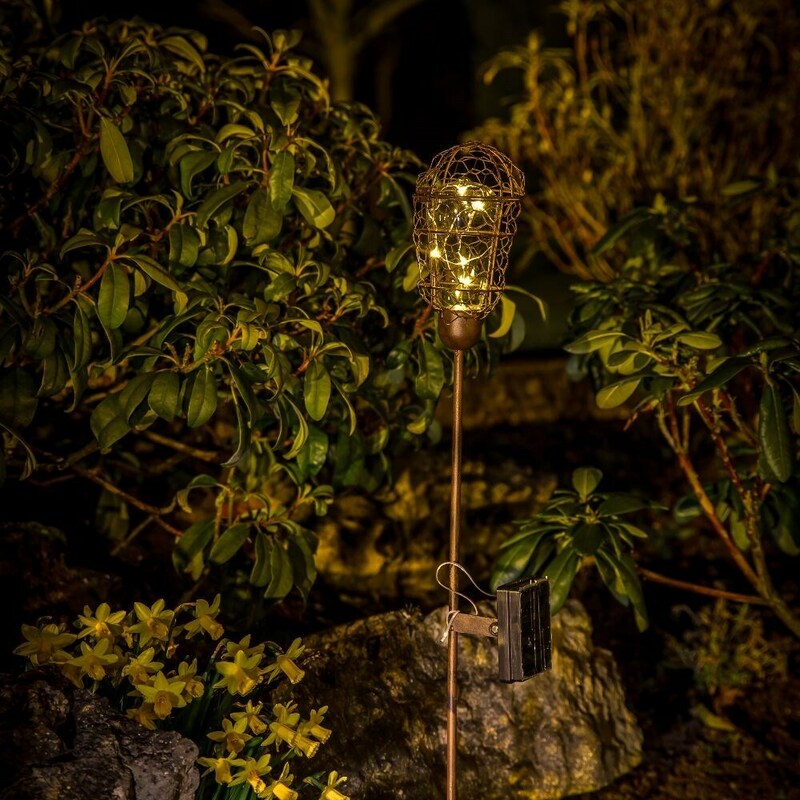 Rugged chicken wire stake light with solar warm white LED. 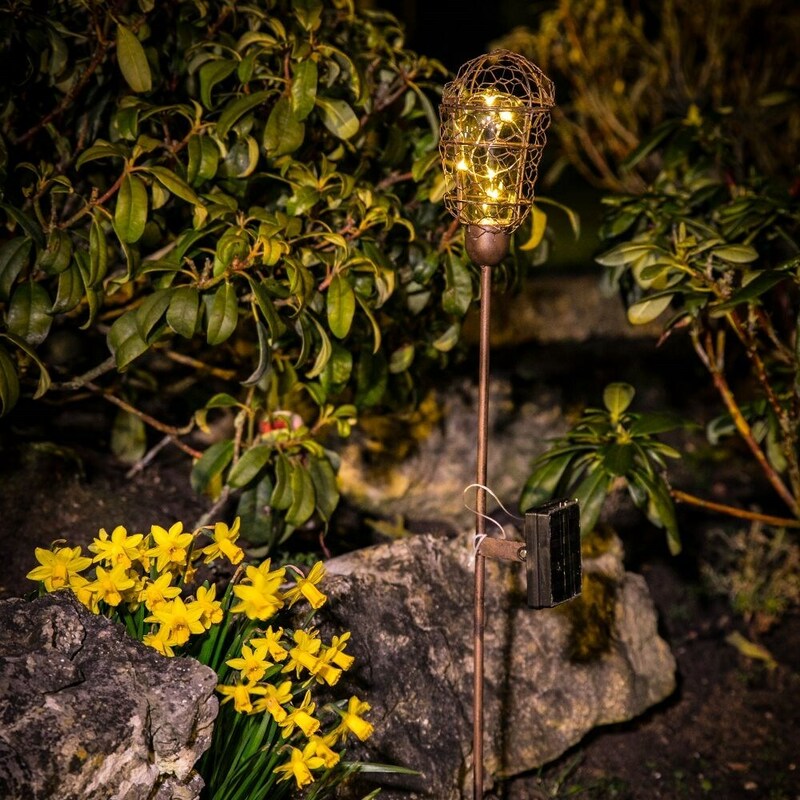 A lovely touch of rustic homespun style to accent a border or illuminate a path or entrance. Includes built-in 365Solar to recharge the light by day in any weather, and a dusk sensor and timer to switch it on automatically for 6 hours a night.